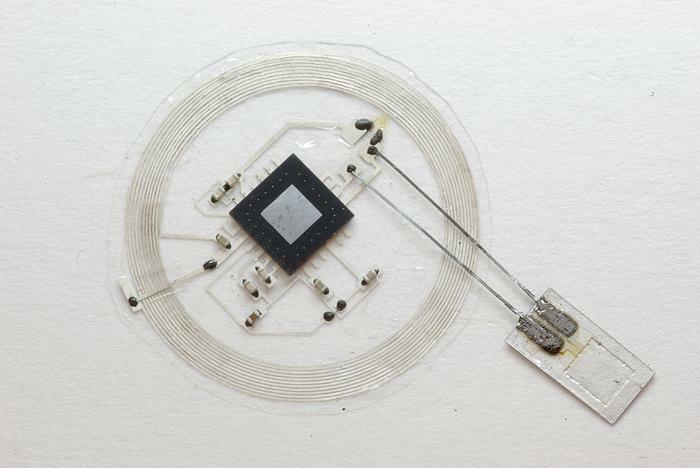 Antiferromagnetic memory; monitoring the brain with dissolvable sensors. Physicists at The University of Nottingham, working in collaboration with researchers in the Czech Republic, Germany, Poland, and Hitachi Europe showed that the magnetic spins of antiferromagnets can be controlled to make a completely different form of digital memory. Among its unusual properties, antiferromagnets do not produce magnetic fields, so the individual elements can be packed more closely for higher storage density. Antiferromagnet memory is also insensitive to magnetic fields and radiation making it particularly suitable for niche markets, such as satellite and aircraft electronics. In looking for a way to develop them into an independent data storage material class, the research team demonstrated that the alignment of the ‘magnetic moments’ of certain types of antiferromagnets can be controlled with electrical pulses through the material. The team’s example used CuMnAs with a very specific crystal structure, grown in almost complete vacuum. If this potential can be realized, the researchers think antiferromagnetic memory could be an excellent candidate for a “universal memory” to replace all other forms of memory in computing. A team of neurosurgeons and engineers from the Washington University School of Medicine in St. Louis and the University of Illinois at Urbana-Champaign developed wireless brain sensors that monitor intracranial pressure and temperature and then are absorbed by the body, negating the need for surgery to remove the devices. Such implants could potentially be used to monitor patients with traumatic brain injuries, but the researchers believe they can build similar absorbable sensors to monitor activity in organ systems throughout the body. Having shown that the sensors are accurate and that they dissolve in saline solution and in the brains of rats, the researchers now are planning to test the technology in patients, saying that key bridges have been crossed in terms of major challenges involving size and scale. “The devices are made mainly of polylactic-co-glycolic acid (PLGA) and silicone” …and what is the stuff besides the “mainly”?